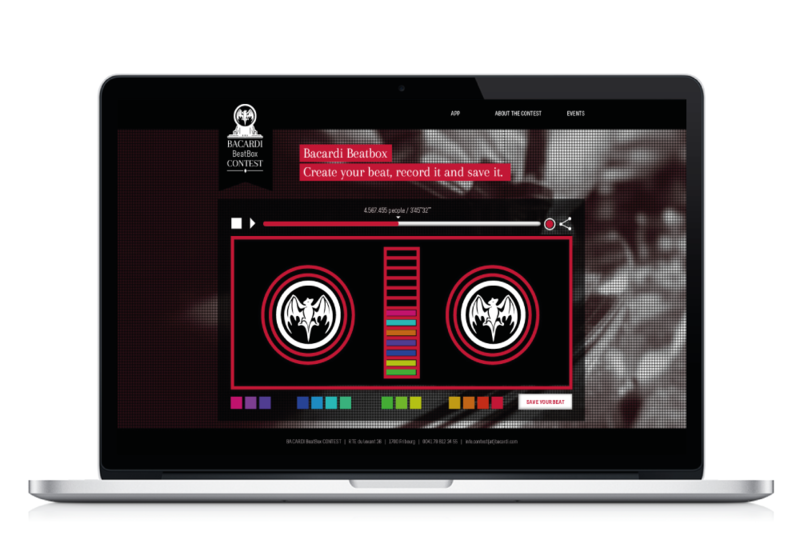 Create your own beats and collaborate in the longest beat. Landing page of the campaign. I am an restless person, always looking for new challenges, thats why me and some friends decided to join a creative contest. YCN its a showcase for rising talents in which you have access to attractive briefs, and this year we decided to pitch for Bacardi. To engage young adults and their parents to see the benefits of an experimental "learning by doing" education environment. Bacardi is a big beverages multinational company. The company, originated in Cuba 150 years ago still being run by the Bacardi family, hence its tradition and culture of rhum. brands in the market, with important brand image and plenty of different drinks. Lots of people wrongly believe that Bacardi is a low quality, industrial spirit. Text as a form of communications is very limited; there is a need to express more in less space. Skype was not considered as an online platform. I had a key role in the analysis of the market and competition and its opportunities, definition of the strategy and User Experience. As music is one of the best ways to connect with young people, we decided to create an unforgettable experience around music, so people could enjoy doing their own music, share it with friends and even participate in the biggest track ever seen online! The campaign consisted in different actions. 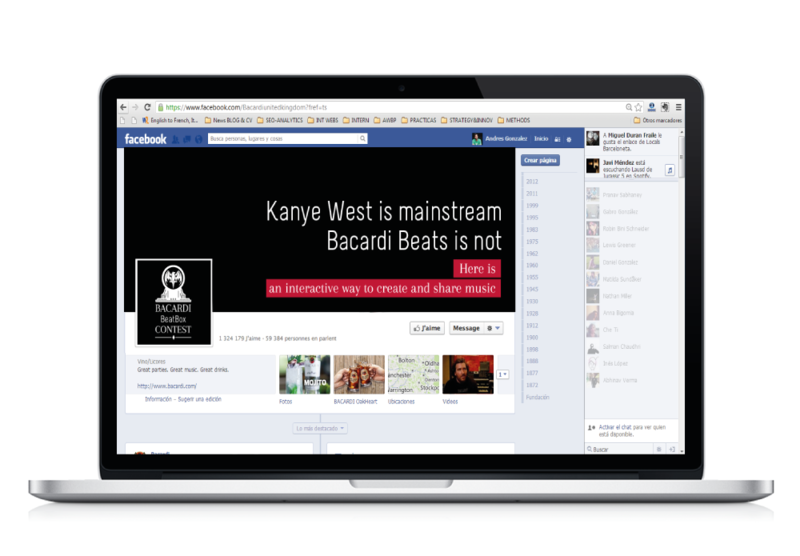 We created an online platform where you could easily create your own music and share it with your friends on Facebook. In order to do something with impact, we decided to create “the longest beat contest” where people could collaborate in a huge beat. Together with beat box machines connected online and located right in the bar in the bars, connected online, so people could make music with their friends. To create awareness of the brand, and its relation with music, the brand would have an important presence in Tomorrowland, one of the most amazing festivals in the world.